- Fail-safe hydraulic circuit complete with check value on lift cylinder. - Tilt sensor complete with alarm and cut-out. - Automatic basket overload cut-out. - Automatic elevated drive-speed reduction. - Emergency descent from basket and ground. - Audible ascent and descent drive alarm. - Automatic dynamic parking brake. 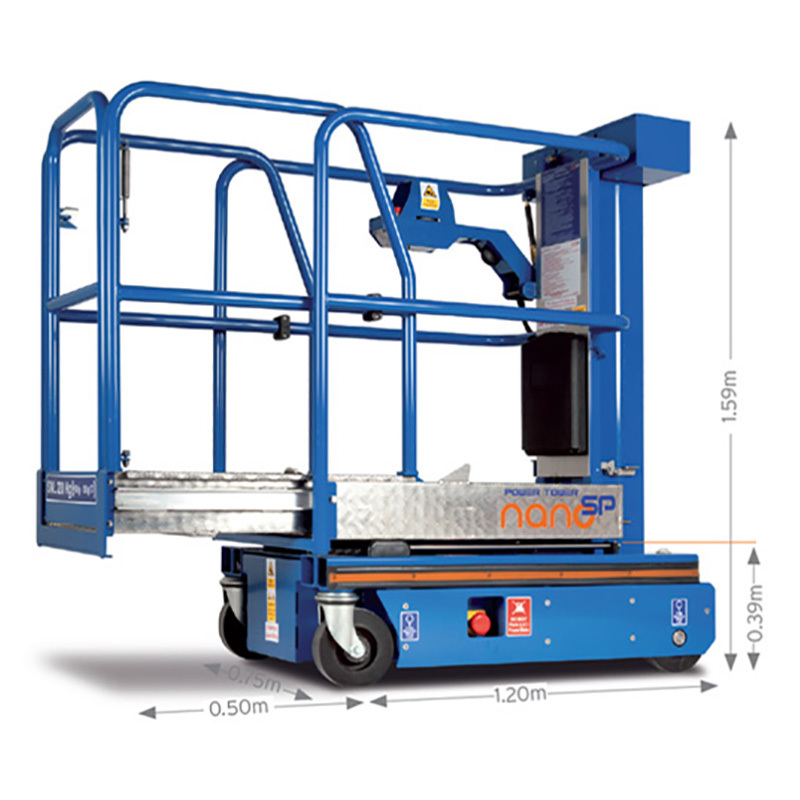 The Nano SP Extending deck, has simple joystick controls, & at only 540kg is able to work on raised access & other delicate flooring. It is ideal for applications where extra outreach from a very small footprint is required. Retail, Maintenance over Machinery etc. A Powered, Self Propelled Licence (IPAF) is required to use this unit (1 -2 day course).